Why does it take forever to get a heated bed to the right temperature? With most 3D printers, the heated bed is exposed quite a bit. When heating the bed, a lot of the heat is lost to the direct environment. For example: If you room is 20 degrees Celsius (68 F), and you’re trying to heat your bed to 90 degrees Celsius (194 F), your heated bed will be loosing heat to the room it’s standing in. Not all of it of course, otherwise your room would be getting pretty toasty, but still quite a lot and mostly to the air surrounding your heated bed. For my LeapFrog Creatr (which even has most sides covered by panels) for example it takes more than an hour to get to 90 C (194 F) in a room that is 20 C (68 F). Air “conducts” heat poorly, but it “transports” (convection) air pretty good. That’s why still standing air is applied in insulation techniques like double pane windows. The same logic is also why moving air is used for your Air-conditioning. Now you might understand why “moving” should be avoided, as it cools down your bed. Note : Humidity, or the amount of water molecules in the air, does play a part in this as well – so your milage may vary. First step is of course to make sure that you limit moving air around your 3D printer. So fans, open windows and a lot of motion near the printer should be avoided. We can reduce the airflow with this dirt cheap trick and the results are impressive. 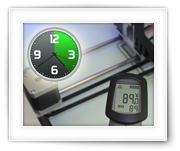 Applying this trick did cut down the heating time for my Leapfrog 3D printer from more than an hour down to 20 minutes – I’d say that’s an improvement for impatient people like myself, and it will save you in the end on your power bill as well. All we need for this trick is a garbage bag. 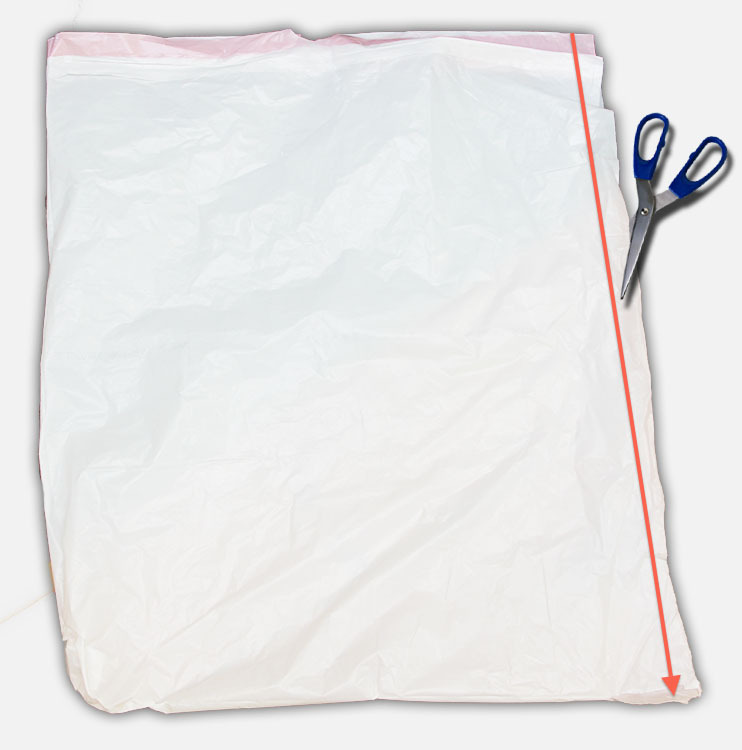 I used a straight forward and simple Glad 13 Gallon Trash Bags (50 liter bag) which measures approximately 58 cm (W) x 68 cm (H) or 23 inch (W) x 27 inch (H). 3D printers come in different shapes and sizes so you might need to look for a big bag that first your 3D printer better. This size work beautifully for my LeapFrog Creatr. Put the bag on a flat surface, the floor or a table, and cut one side open as shown in the illustration below. When you start the process of heating your heated bed, slide the bag over your printer as illustrated below. Notice that the top of the bag is positioned at the top back of my LeapFrog 3D printer. 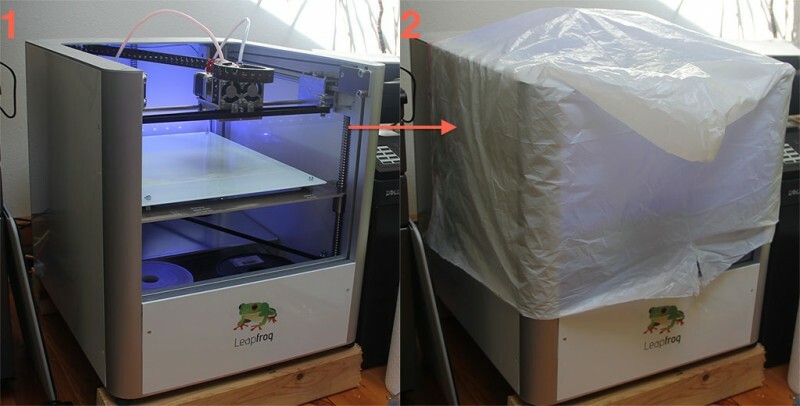 Different 3D printer form or shapes might require a slightly different positioning – as long as all, or at least most, openings of the printer will be covered. During the heating process, you will notice that the bed heats significantly faster. When your bed has reached the desired temperature, remove the bag, so it does not block your view when you printer starts printing. Thank you for your Tip, It worked like a charm. My Heat bed is significantly faster in heating. Thanks for leaving a positive feedback! I was really surprised when I read your article to hear that your heat bed takes an hour to heat up, and that your solution was to put your printer in a rubbish bag. Classic. Perhaps before designing a solution for everyone you should first see if it’s just your one with this problem. So maybe just look for an obvious solution first. You’re right, the heating problem can be related to the heatbed, the power supply, and the printing environment. I’ve experimented with all of them – except the power supply. It’s a pre-build 3D printer and, even though support at Creatr has been stellar, this problem never got fixed (they even sent me a second printer for free – both printers show the same issue). Good pointer to check the temp sensor (although the bed didn’t really get all that hot according to my temp-gun) – I’ll give it a try! Thanks, and … hope I contributed to some personal entertainment …. I found that my bed problem was burned wires. Check the cable connections for signs of burning g.
Thanks Wayne for the tip! I didn’t have that problem with mine, but considering the temperatures, worth a check for sure! I wanted to post because I read this article and can admit that the heat bed can take a while to warm up. I fixed this solution myself with placing a layer of fiberglass insulation under the heated bed to help insulate the bottom and at the same time it can help reduce and vibration that may be on the bed leveling springs. This is not a solution for all as some models of printers don’t have this type of setup. I built my own prusa i3 from my own materials that I sourced. It prints really well most of the time and the heated bed warms very quickly, 1-2 minutes. Good advice on the bag also I have heard of placing a cardboard box over the printer. That is indeed a good tip, especially for printers that are home build. Mine already had this installed,… and I found that using the proper powersupply might have a significant influence as well. My printer seemed designed for 220V, but the power supply could be switched to 110V. Running on 110V heating took forever. When I moved to Europe, running the printer on 220V, significantly improved heating speed (still slow though). I ended up selling mine unfortunately. One of these days I’ll get back into the 3D printing game though … love the concept! Great to hear this trick. I also built a reprap prusa i3 with materials I sourced and I normally have very good prints but my bed takes a long time to heat up. I will try the fiberglass insulation below the bed and will try the rubbish bag over it. But I am afraid that the heated bed is not that great. Can you note which heated bed you have in your printer? So glad I found this post. Just got my first 3D printer, an Anet a8. And it was taking over an hour to reach 80c. It seemed to be stuck at 76. After reading your post, I threw a couple garbage bags over it and it jumped 2 degrees in 5minutes. Thanks! That’s great to hear, funny how such a seemingly silly approach is helping right? I got the idea based on more and more 3D printers being encapsulated, preventing an airflow that might cool down the bed too fast. Glad it was useful for you as well! Wow, this is a great idea. I will try this in the future, even though I never really had a problem with my heated beds heating up. I get mine from eBay user 3Dheatbeds. They ship fast & have a quality product that I have not had problems with, but still, great idea.